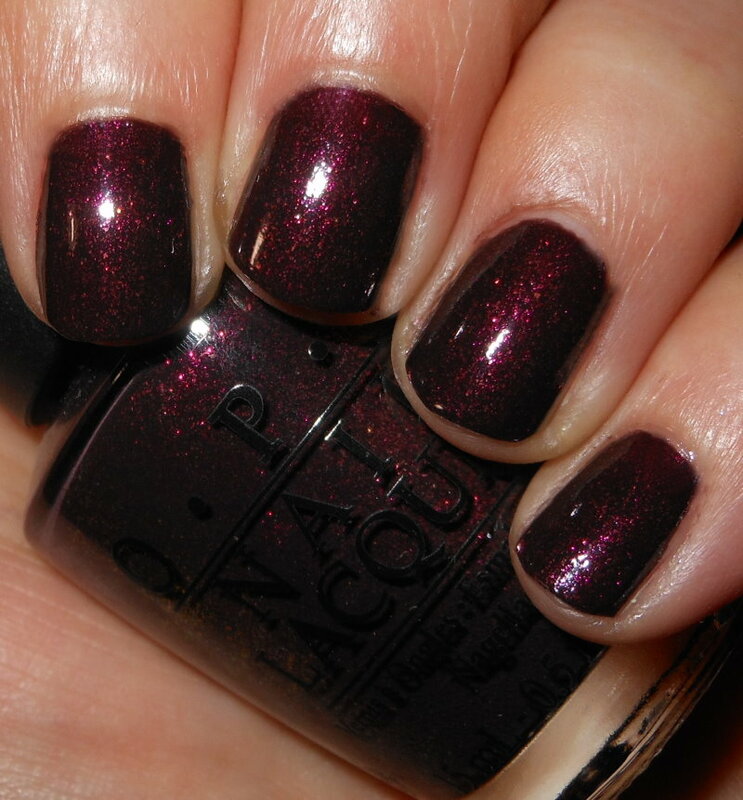 Tease-y Does It is a vampy red-plum base filled with a reddish pinky shimmer. Color: This is one of those polishes that looks a little hum-drum in the bottle, but comes to life on the nail. This is a beautiful blackened base with a intense shimmer that glows on your nails. This is rich, intense, and shimmery all in one. I love colors like this. Formula: Excellent two coat formula. Price: Fear not. Tease-y Does It is still available on Amazon in the $10 range. Overall: Beautiful rich and shimmery color. I think I've noticed a trend here this week in my throwback pics. 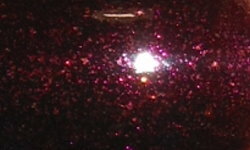 I love deep jewel-toned colors with lot glowing shimmer and sparkle. Tease-y Does It ticks those boxes as do the others I showed you this week. I wish there were more polishes like this out in 2015! I guess my polish style is dated :(?